Less-Than-Truckload (LTL) shipping, once a staid segment of transportation, has blossomed in recent years. Factors that parallel what’s happening in the trucking industry—particularly a healthy domestic economy and robust e-commerce sales—have given the LTL industry a boost. Becoming a frequently used mode of transport in the age of digital logistics is certainly within the grasp of the LTL industry. LTL shipments are one level above parcel shipments (where packages are shipped direct to and from shippers usually via hub and spoke networks) but have been strained by the same challenges that point-to-point transport experience: driver shortages, electronic logging device (ELD) requirements, increased overall demand for freight capacity, and expensive capital investments to keep pace with demand. Let’s explore some of the current and pervasive themes of the LTL industry as well as the future direction of the mode. 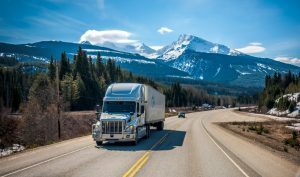 LTL carriers have been somewhat insulated from driver shortage impacts as their networks can offer a more attractive environment by getting more drivers home every night versus linehaul, over-the-road, or Truckload carrier. But to attract new drivers, LTL carriers are still having to pay more, just like everyone else, with increased salaries and signing bonuses. In 2019 LTL prices should modestly increase, buoyed by driver incentives and the forces of economic demand. Most LTL carriers are likely to take at least one general rate increase (GRI) of about 5.9 percent across the board this year. There has been a healthy demand created for LTL and with that there’s a side note of how this freight moves. In the past, LTL was mostly palletized. Today, it’s more common to find irregular shapes mixed in and equipment that doesn’t stow as easily. Think furniture, bikes, and appliances. With e-commerce on a roll and tall consumer demands for fast delivery, sellers of goods will do anything it takes, on any mode of transportation, to meet shopper expectations. As a result, LTL carriers are not only lowering the minimum threshold for what is referred to as “extreme length” pieces, but also charging more for them. Such shipments are difficult to handle, both in the trailers and the terminals. Plus, they are more prone to damages and claims. For shippers of these irregular sized products, LTL pricing increases may be even higher. Although LTL shipping has seen advancements and tech adoption has risen in recent years, most LTL carriers are not yet fully digital. Though some around the logistics industry are quick to compare LTL to parcel, this factor, among others, is a separating element in the two segments. 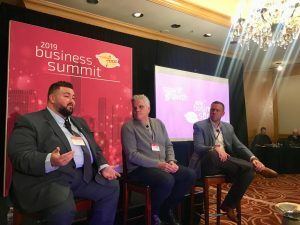 According to transportation consultant Cerasis, “parcel shipments have 90+ percent of bills of lading digitized, whereas the LTL industry lacks behind.” They said that up to 75 percent of the LTL industry uses paper for the bill of lading. This is because parcel shipping and LTL require different efficiencies. In the parcel realm, each fraction of a second spent handling an individual package adds up quickly due to the massive volume of orders. This is simply not the case in the LTL industry, which has not forced carriers to comply with digital bill of lading (BOL) demands prevalent in other logistics sectors. However, that is not to say there are no LTL carriers getting on the digital BOL bandwagon. The two giants of parcel, UPS and FedEx, have fully embraced digital LTL shipping. Because of their huge market share, the two are able to make the large capital investment needed for operational digitization. As others begin to share in the revenue of the LTL boom, it is likely that we will see an increase in the digitization of BOLs across the industry. Additionally, using digital logistics best practices to optimize cargo load out, in the age of algorithms, telematics, and the Internet of Things (IoT), is changing the efficiency equation in transportation cargo loading, tracking, and control. “Cubing out” shipments — computing ways to optimize loads so excess truck space does not go unused — will become more widely adopted by LTL shipping as the industry continues to progress, but it’s not yet the norm. Load-building through artificial intelligence (AI) is making impacts in other ways, too. AI tools and computer vision technology for cross-dock operators help ensure that inbound pallets are loaded in the optimal trailers, and in the right sequence inside the trailers, for the greatest possible efficiency during delivery. Intelligent load-building technology also helps limit damage. Automation will inevitably become much more integrated in LTL shipping in the near future. While load-building technology and further digitization will improve LTL, there’s a long way to go before the mode poses a threat to the parcel industry. This is in direct contrast to what some in logistics believe— that LTL carriers are currently competing with parcel carriers. The barriers to entry for the small package delivery service in the U.S. are astronomical. While LTL carriers do try to retain as much business as they can —and have taken on smaller, faster, more nimble orders — LTL is still not directly competitive with parcel, by and large. But LTL has potential to improve and grow. The industry is likely to see it emerge as a potent transportation sector as it comes of age and becomes more useful to shippers.